Wes Anderson's films are nearly universally polarizing, but over the years he's managed to carve out a fairly substantial fanbase (of which I would now consider myself a part). However, none of his films polarizes even within his fanbase quite like Moonrise Kingdom. I've even heard accounts that true fans don't like it while more hesitant Andersonians feel more at home. As with everything else, I find myself somewhere in the middle: while by no means my favorite in his filmography, I enjoy it more than some of his other work for how it stands apart. 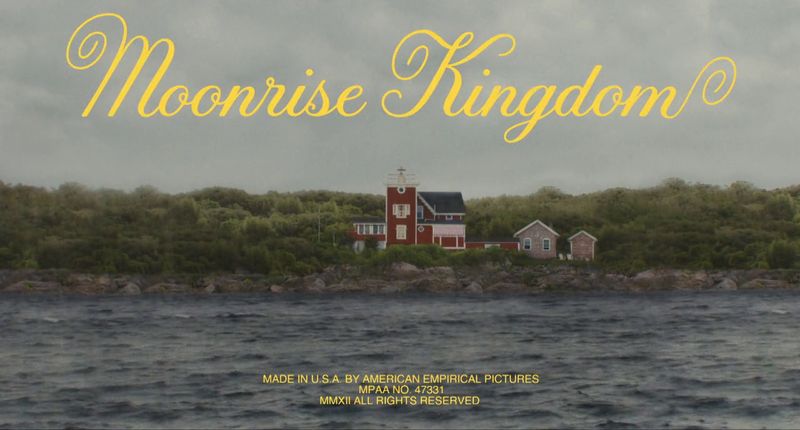 Thanks to its the unique atmosphere and characters, Moonrise Kingdom is an exceptionally quirky entry from the proclaimed master of quirk. The simplest thing which makes this movie stand out from the rest of Anderson's is the fact that it's actually about children. All of his movies have their share of childish adults or at least a sense of youthful naiveté, but with a few exceptions (Zero Moustafa, Ari & Uzi Tenenbaum come to mind), his central characters are in general physically beyond their adolescence. So while his distinct characters and dialogue seem fairly similar here to those in his other films, actually locating them in children makes them feel quite different. Our central protagonists Sam and Suzy have a striking bled of innocence and maturity. They manage to deliver dialogue which both sounds believable for someone their age and at the same time contains wisdom beyond their understanding. "Was he a good dog?" Suzy asks after the death of Camp Ivanhoe's mascot. "Who's to say?" responds Sam, as if his companion had asked after the canine's moral character instead of her much simpler inquiry. Later, he delivers this wonderfully poetic and disjointedly adult confession: "I admit we knew we'd get in trouble. That part's true. We knew people would be worried, and we still ran away anyway. But something also happened, which we didn't do on purpose. When we first met each other, something happened to us." Here he shows an amount of self-perception and emotional understanding which sits oddly with his young character. Instead of Anderson's usual child trapped in an adult's body, Sam and Suzy often show more maturity than their age would suggest. I can see how these characters might not work for everyone, and in many cases may be actively annoying—there are scenes which stretch my patience as well—but for me their endearingly naive intelligence captures a powerful feeling of melancholic nostalgia. 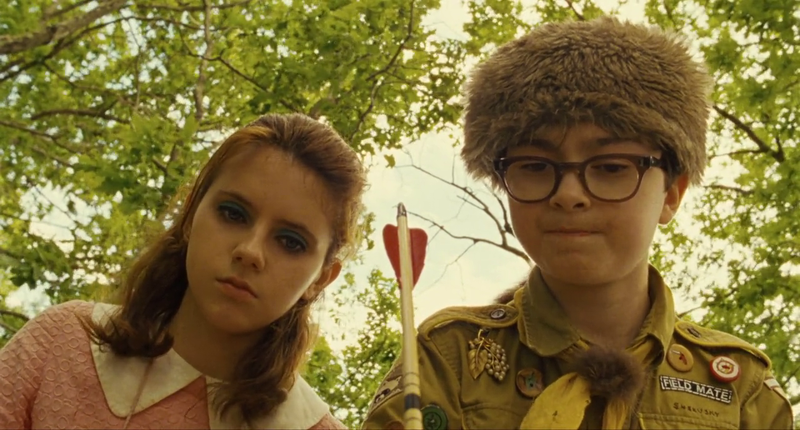 In Moonrise Kingdom you'll also find Anderson's typical attention to color palette and lighting to evoke mood, frame composition and editing to deliver comedy, and unmatched precision in character directing. His meticulousness and ingenuity give all of his films a distinct stamp; whether you personally enjoy the result is your own business, but you'd be hard pressed to find someone who doesn't think he has some talent behind a camera. Mark Kermode has a wonderful quote which I always find indicative of his directorial rigor: "A gags outtake reel in a Wes Anderson film would consist of somebody raising their eyebrow slightly too much and everybody falling about laughing." Wes Anderson is a director whose sense of comedy is so particular that it can succeed or fail based on the degree of a raised eyebrow. Moonrise Kingdom is part of my list Wes Anderson Ranked. Want more Wes Anderson? Check out my explanation of what makes his Grand Budapest Hotel one of the more exciting films of the year so far. Want more Moonrise? Help welcome my friend Liam by reading his analytical review! What's your favorite Wes Anderson film? Or is he all quirk and no content? Tell me!